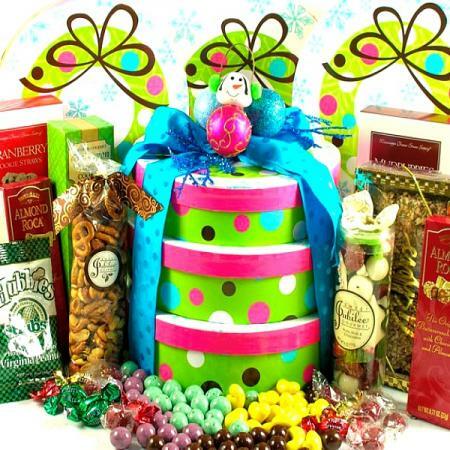 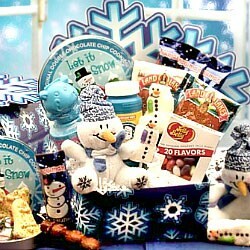 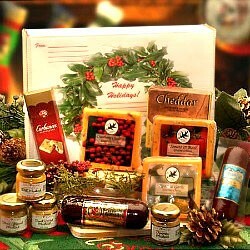 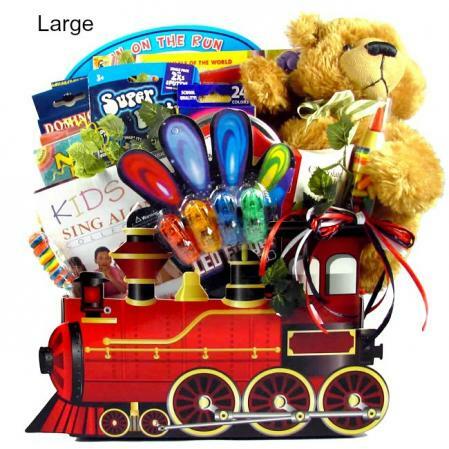 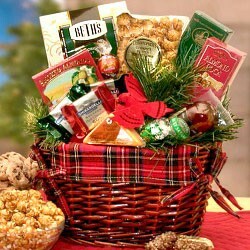 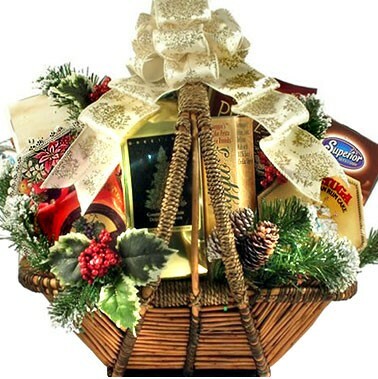 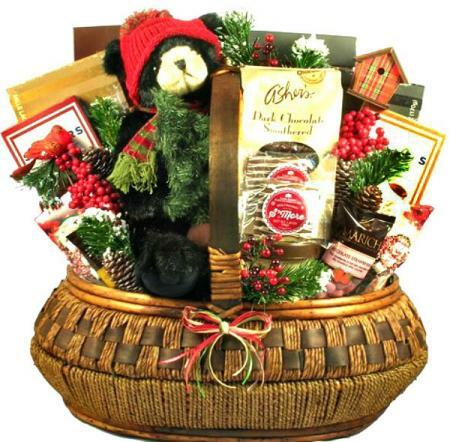 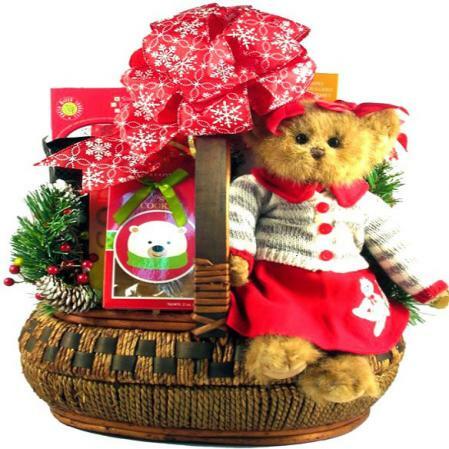 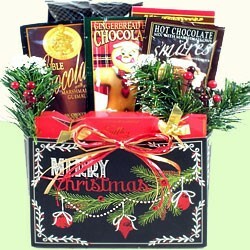 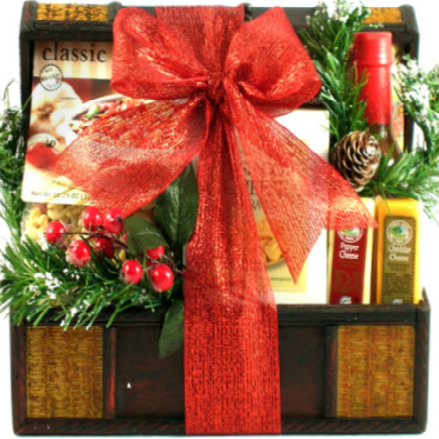 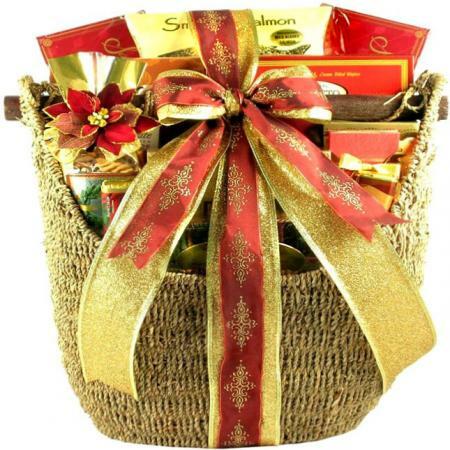 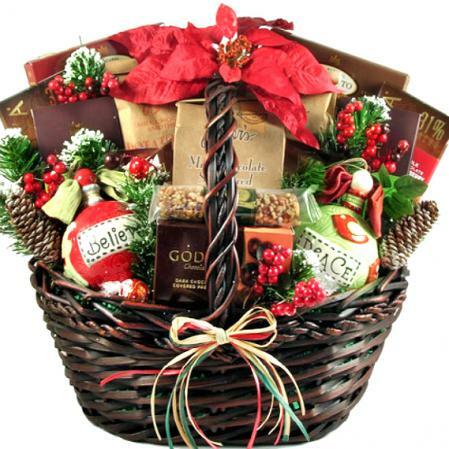 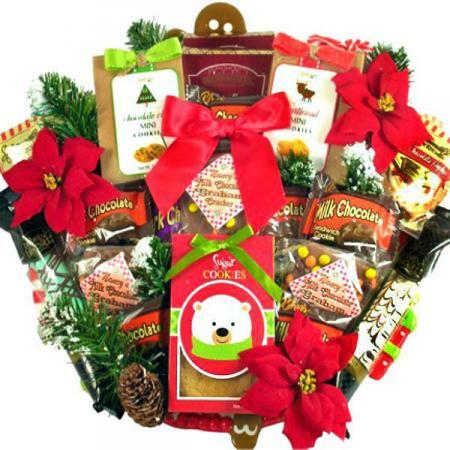 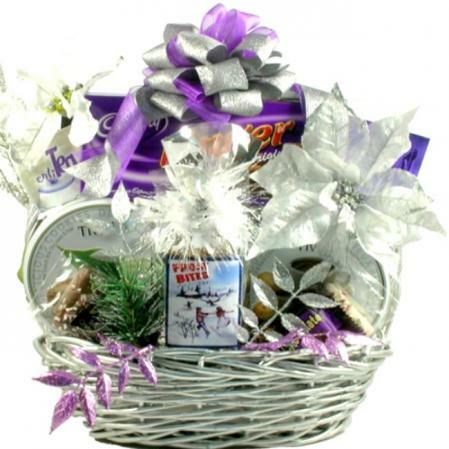 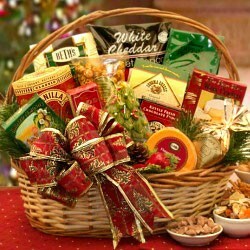 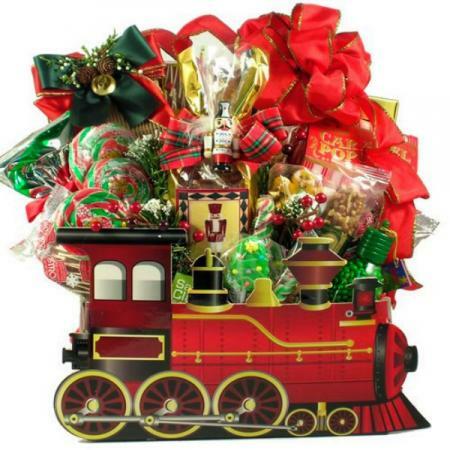 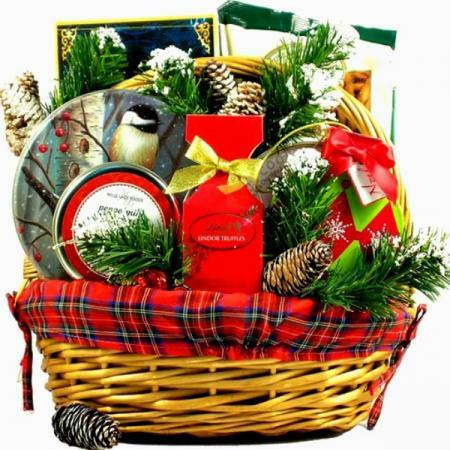 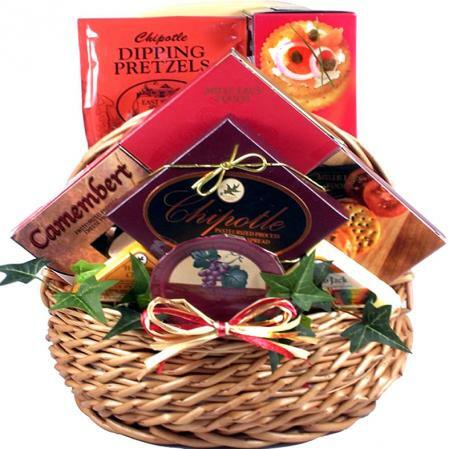 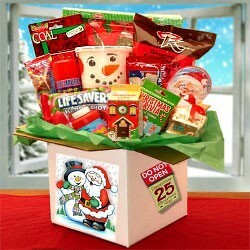 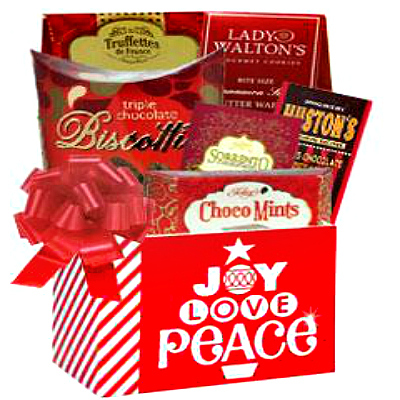 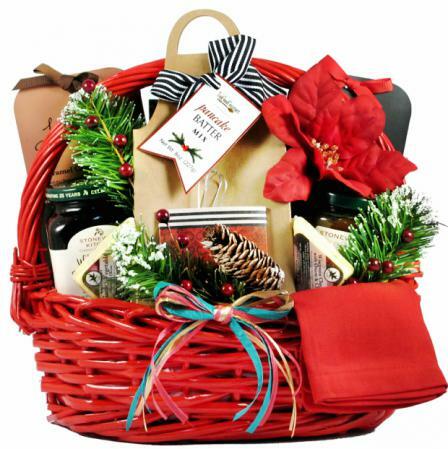 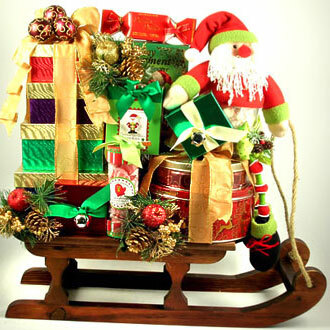 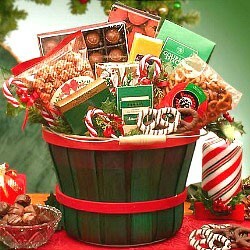 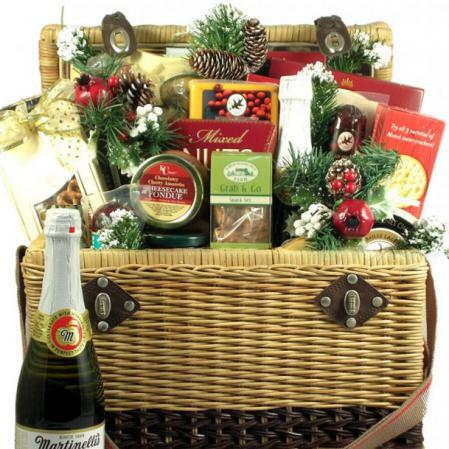 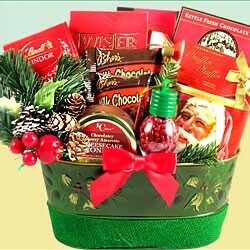 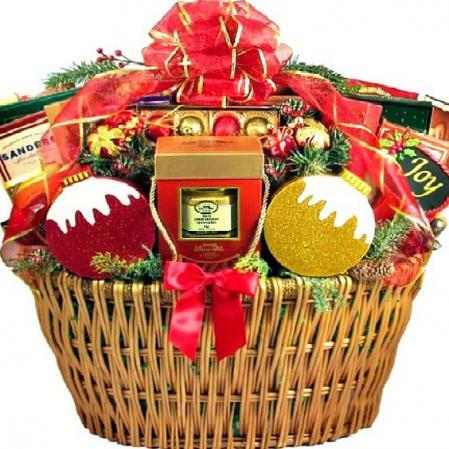 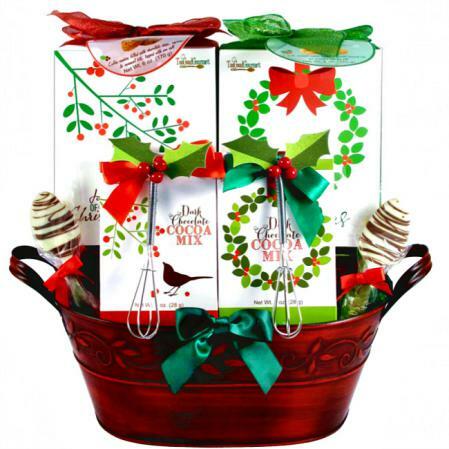 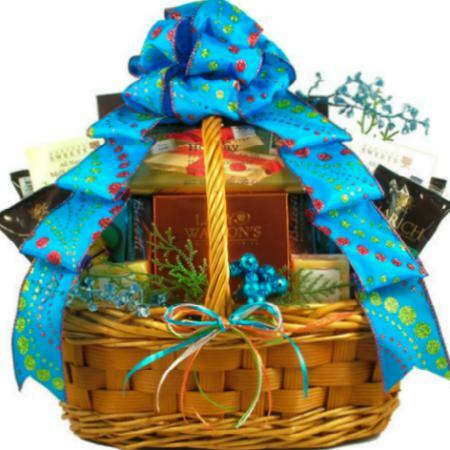 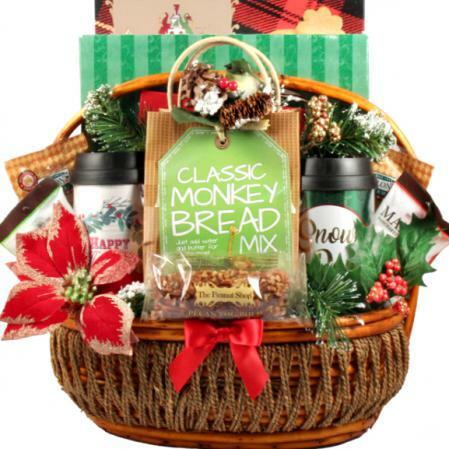 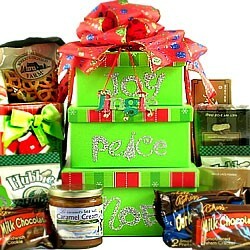 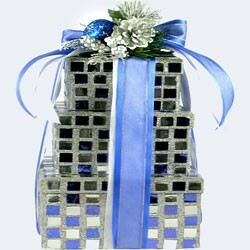 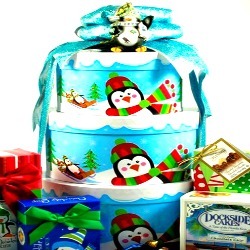 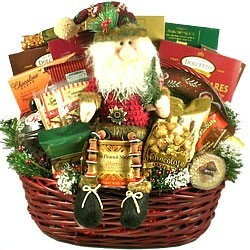 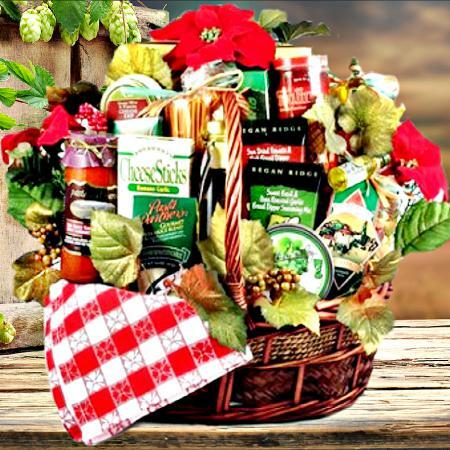 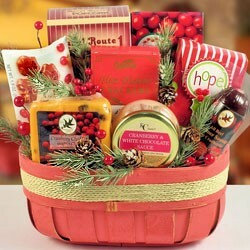 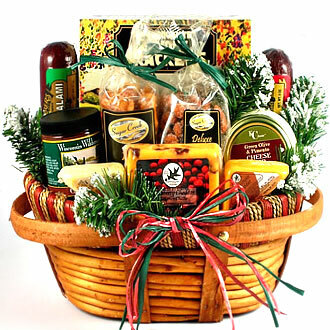 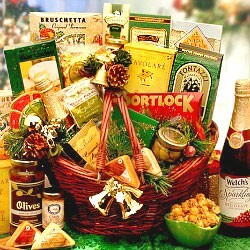 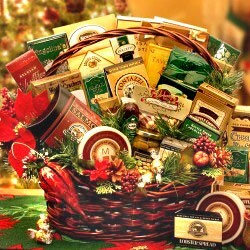 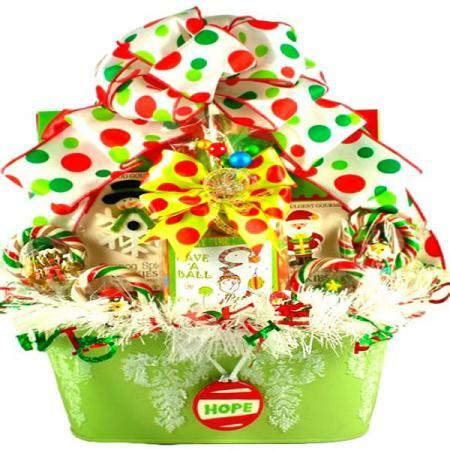 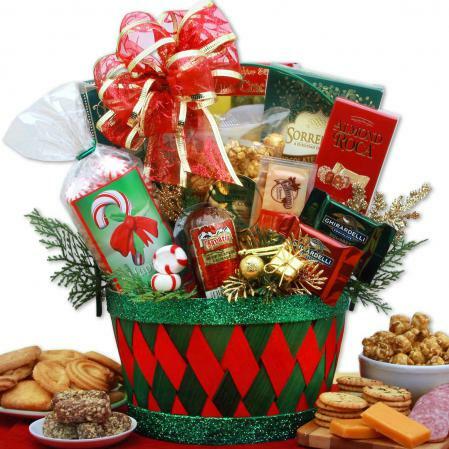 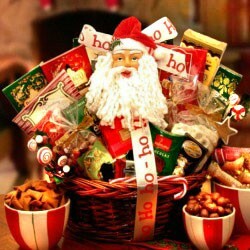 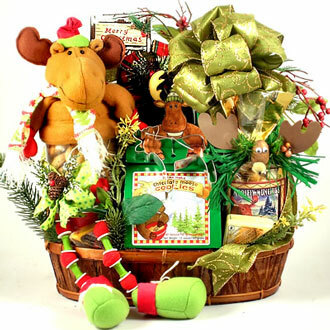 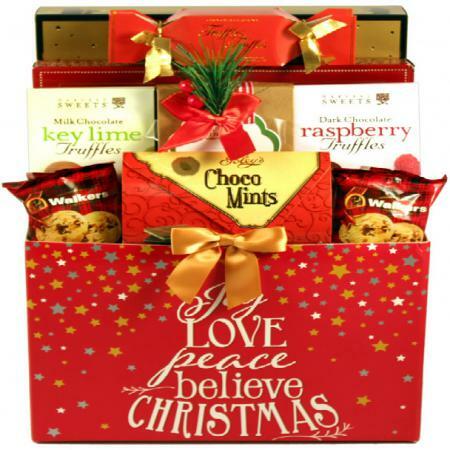 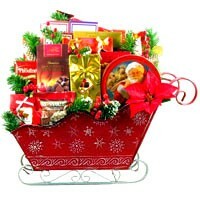 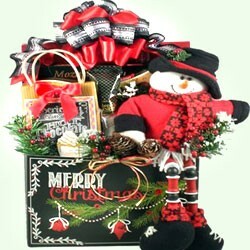 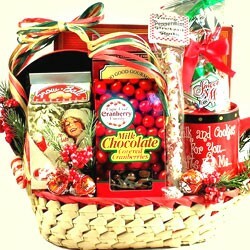 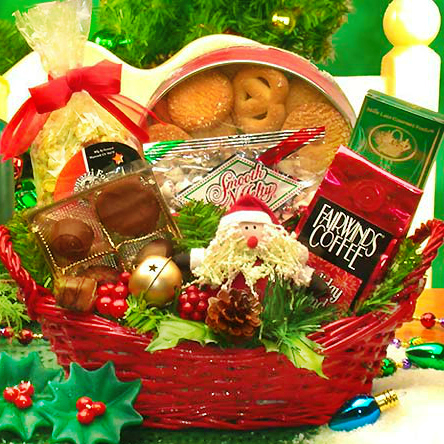 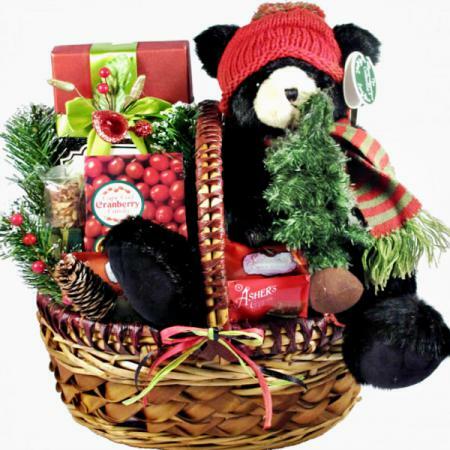 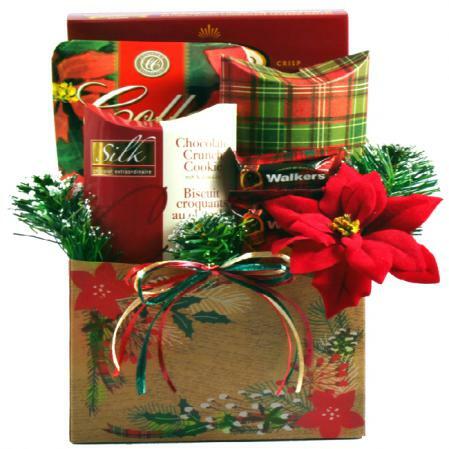 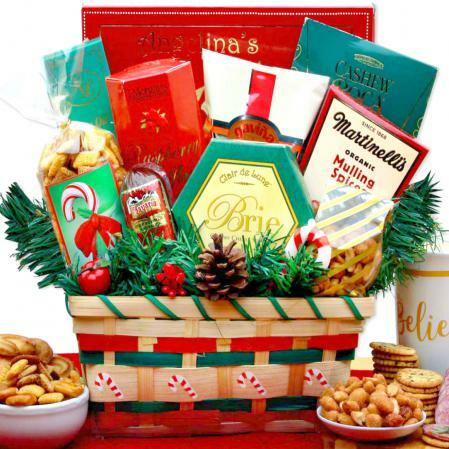 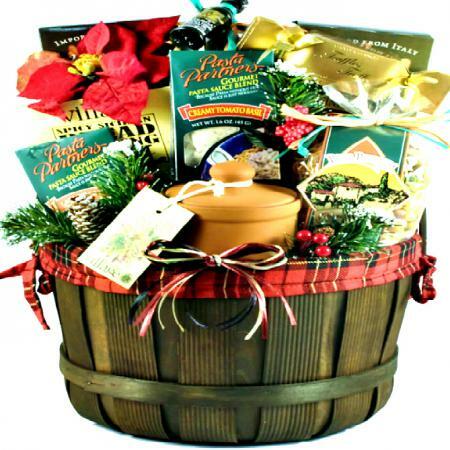 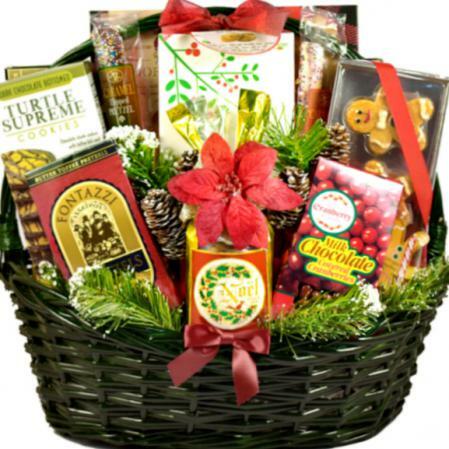 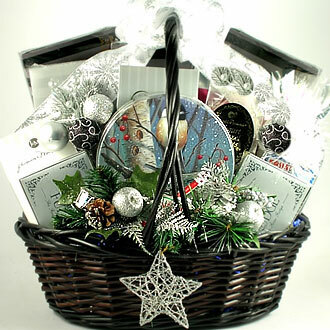 This sparkling holiday gift basket will bring joyous greetings to everyone on your gift list. 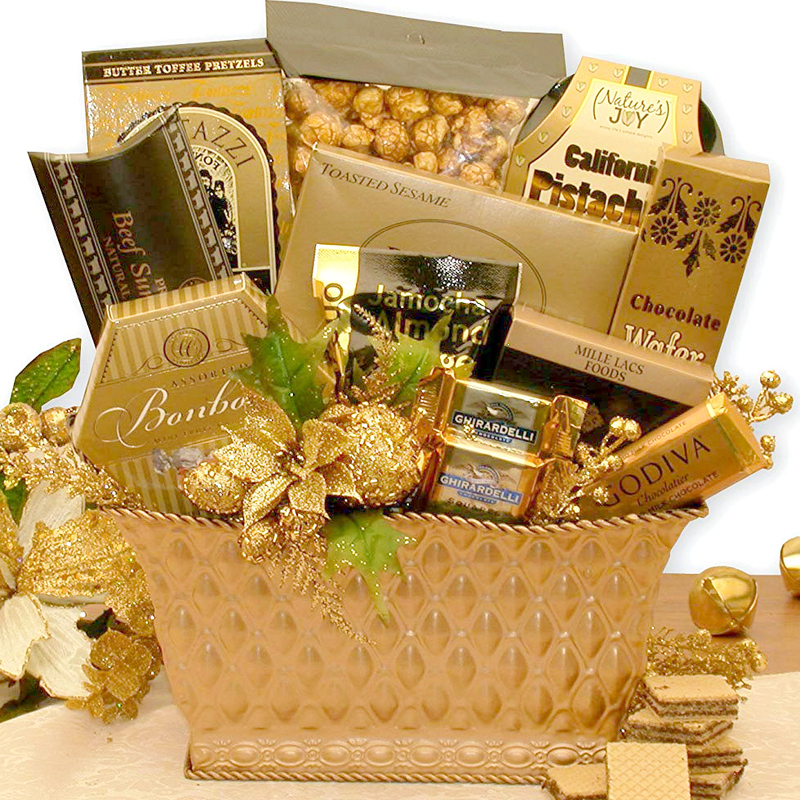 Graceful, stylish and breathtaking this golden beauty arrives filled to the brim with sumptuous treats — the perfect gift to ring in the New year or shine brightly on Christmas Eve. 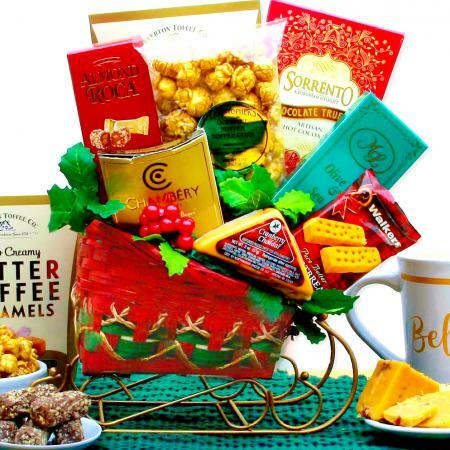 We've included delicious gourmet goodies like a Godiva milk chocolate bar, Ghirardelli caramel filled milk chocolates, butter toffee pretzels, toasted sesame crackers and more. 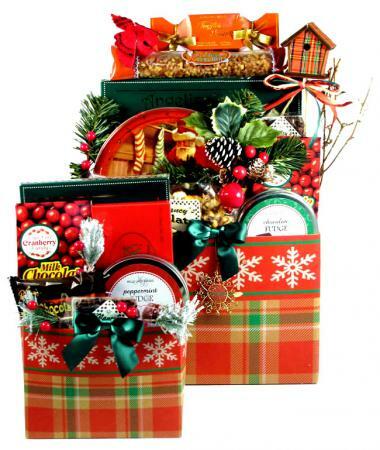 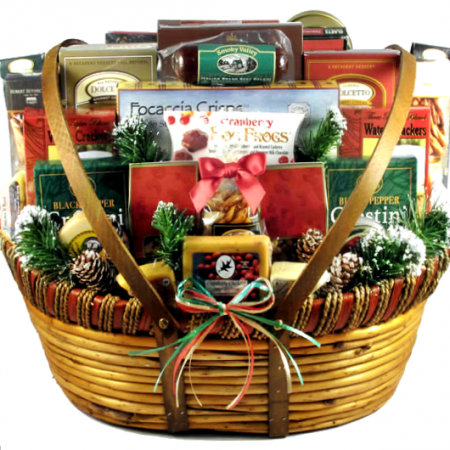 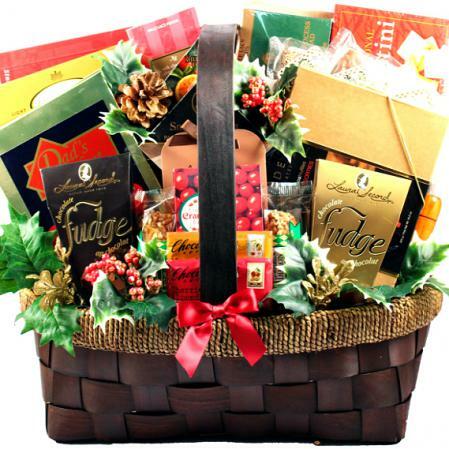 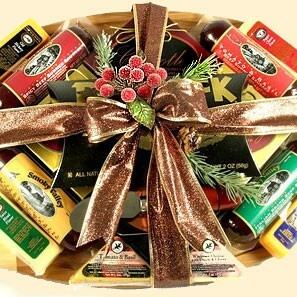 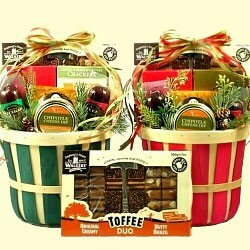 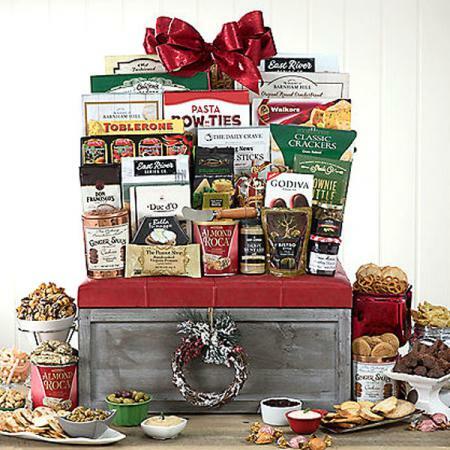 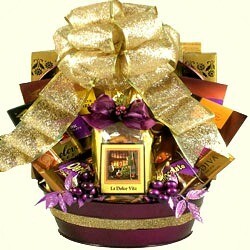 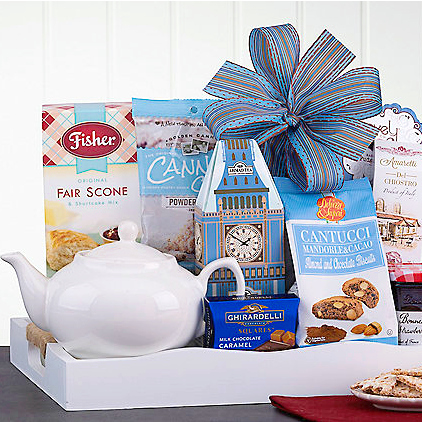 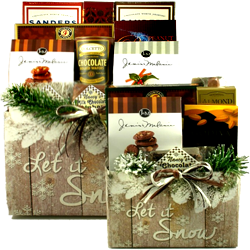 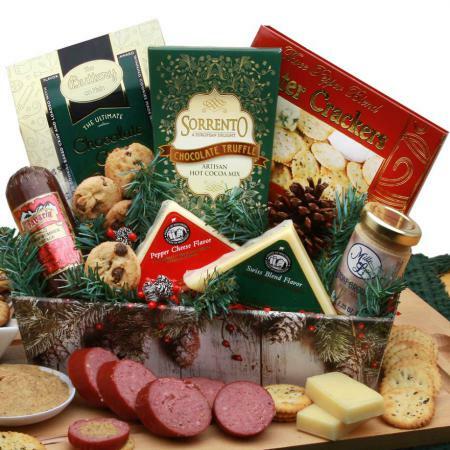 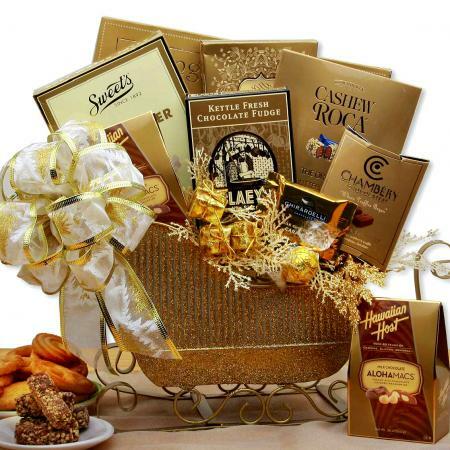 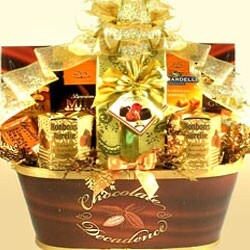 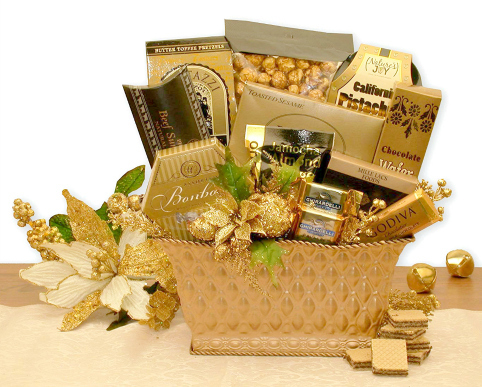 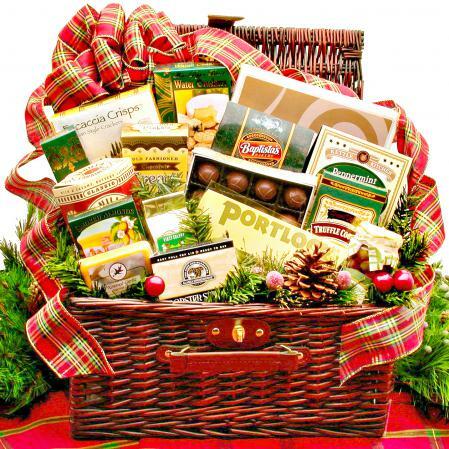 This stunning holiday gift basket is the perfect way to send your best wishes.